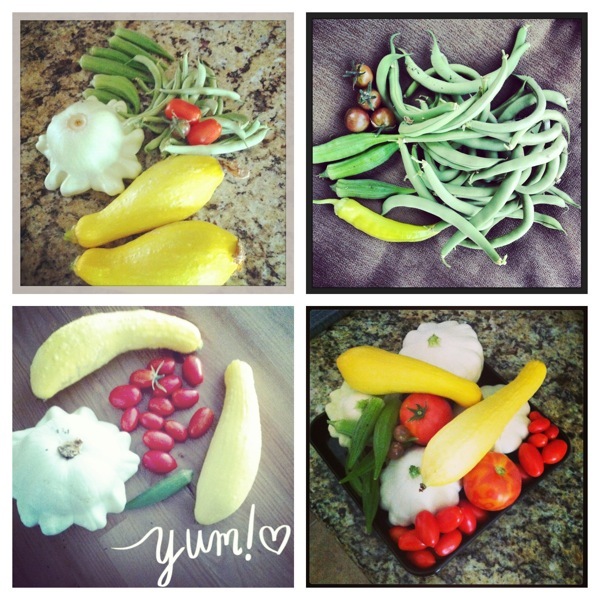 Since I’ve started posting some recipes with my garden veggies, I thought it was time for an update! 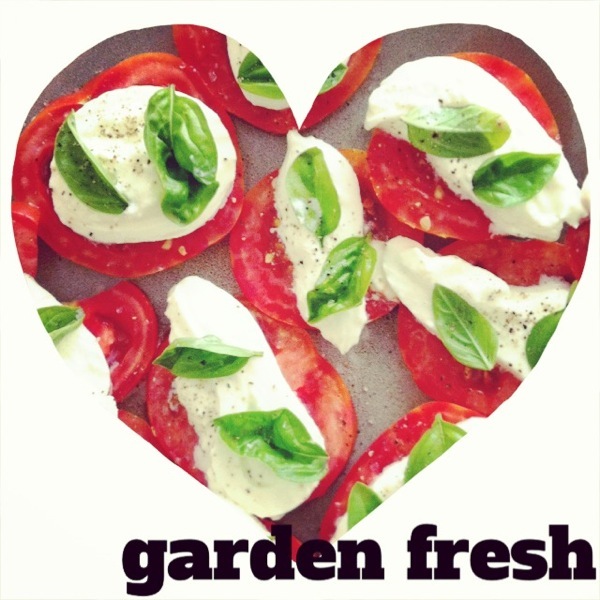 If you’re catching up: Here’s how I started my garden and here’s my last update. So how is everything doing? Lettuce: It’s done and I’ve pulled it all up. It’s not a summer veggie, so the heat just wasn’t its friend. It was time. Herbs: My basil actually started coming back a little since my last update. I also started some new basil from seed (regular and Thai basil) and recently transplanted them to the beds. My rosemary is going strong, but everything else seems to hate the heat. I guess herbs need to be indoor plants here! Green beans: My beans produced a TON, and most of my plants are just about done now (I’ve pulled most of them up). Since they did so well, I planted a few more seeds where I ripped out the lettuces, and those should start producing in a few weeks. Okra: It’s producing and going strong. I only get a handful a day, which doesn’t seem like enough to do something with, so I’ve been freezing most of it so I can make something later in the year when I’m not overwhelmed with veggies. Summer Squash: Speaking of being overwhelmed with veggies. Holy squash! I get about 3-5 squash a day and I don’t think ANYONE can eat that much squash. I can’t even give them away fast enough. Lesson learned: next year just one squash and one zucchini! Tomatoes: My tomatoes are still growing like crazy and 3 of my 5 plants have produced some ripe fruit (especially my grape tomato which is going nuts). Sadly, I think at least 2 of my plants have come down with Tomato Spotted Wilt Disease, which means soon they will stop ripening. Boo. Eggplants: I haven’t harvested any yet, but a couple cute little eggers are growing! Peppers: I think my peppers either get too much sun or too much wind. They’re really sad looking. The banana peppers and jalapenos have produced a few decent peppers, but the bell peppers have a stunted growth problem, or something. I’m not getting my hopes up for these guys. Cucumbers: My first, from-seed plants never grew but the three seedlings I planted have taken off. 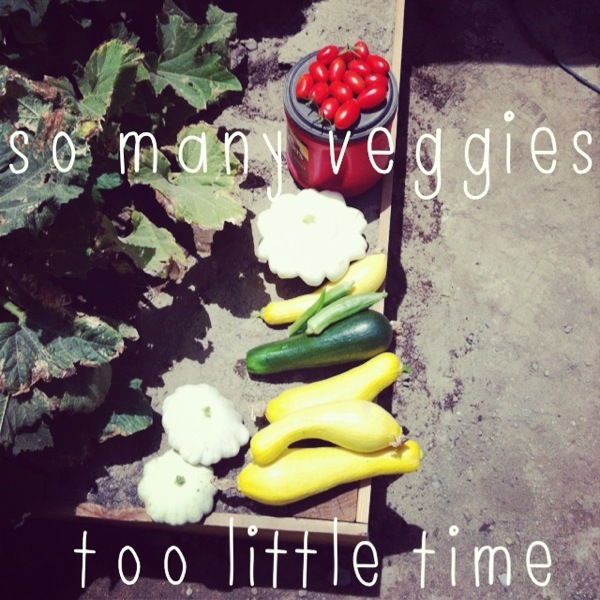 I’ve already harvested a few and made pickles! 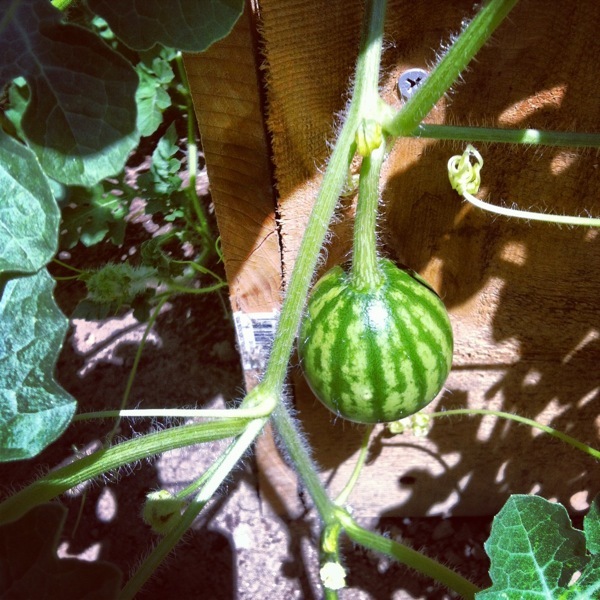 Watermelons: Crazy vines! My watermelons have taken over a huge area and already I have about 9 watermelons growing. A couple are almost as big as my head but they supposedly grow to 25 lbs, so I guess they’ve got a little ways to go. Butternut Squash: The watermelons killed them. 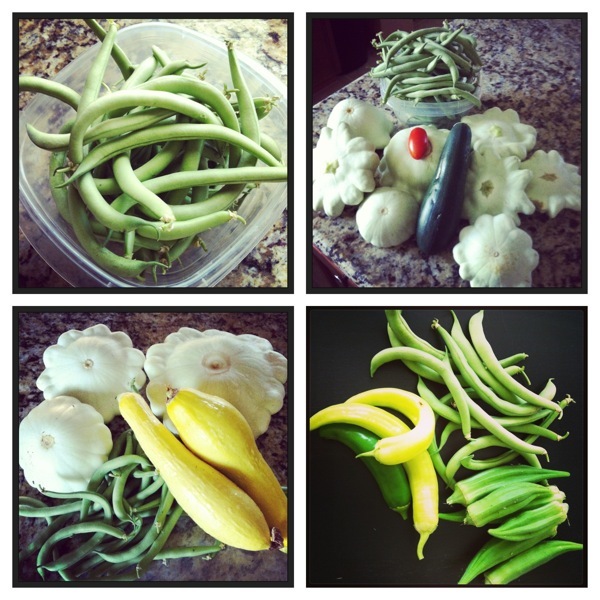 After all the work we did for the garden, I’m so glad it’s producing a ton! I’ve already made lots of dishes with garden fresh veggies: Pattypan Squash Gratin, MANY batches of Tex-Mex Squash Casserole (this is the best EVER way to cook squash), Sausage Stuffed Summer Squash, Stuffed Pattypan Squash, white chocolate chip squash muffins (which were yummy but way too ugly to share on the blog), baked “fried” okra, Homemade Pickles (I also used the same recipe to pickle some green beans), a ton of grilled squash and zucchini, and lots of caprese salads. What a beautiful garden! I am so envious of you. Nothing but cilantro and weeds are growing in mine. I have waaay too many squash recipes. I use it in spaghetti sauce, I grill them with some balsamic vinegar and put them with some pasta and feta cheese, I even use it in mac and cheese. Ooooh the pasta with feta sounds awesome!! Each year I learn from the garden. Its work but so much fun when the plants start producing.